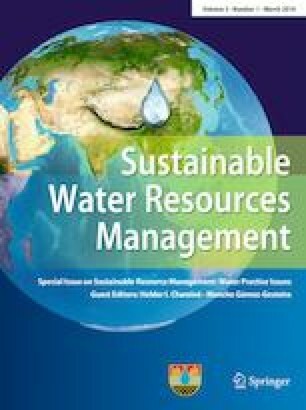 The Grand Ethiopian Renaissance Dam and the sustainability of water resources: would monetary compensation warrant some more restrictions on dams? The Ethiopian Government is currently building The Grand Ethiopian Renaissance dam (GERD) on the Blue Nile, one of the largest in Africa. The dam would be used as a hydropower station to generate electricity for Ethiopia domestic use, and also to export to other countries as source of hard currency. The dam reservoir was originally planned to store 14 billion cubic meter. However, this plan was changed, to increase the volume of water behind the dam to 74 billion cubic meter, much greater than the annual flow of the river. Filling the reservoir within short span of time would pose a potential threat to downstream countries, namely Egypt and Sudan. The situation would be even worsened if the filling process coincides with drought that would impact downstream countries even harder. This in turn is likely to cause significant cut down of freshwater supply to Egypt, with major impact on domestic use, agriculture, industry and environmental integrity. Hydropower installation, meanwhile are among the most impactful drivers of ecosystem change. Hence, affecting the quality and quantity of water released downstream, with potential bearing on the riverine and riparian ecosystems services in particular. The construction of the GERD comes amid a world-wide recognition of the negative impacts of dams, and calls for proper planning and site selection well in advance with consultation with all stakeholders, including downstream countries. Monetary valuation of ecosystem goods and services has been among the most widely and fast growing areas in environmental and ecological economics. The construction of dams and the multiple impacts they cause have captured interest in using monetary valuation to assess the monetary value of the damage caused. Economic valuation of ecosystem services is also a deterrent of any act that might negatively affect the quality and/or quantity of ecosystem services, and also for compensation claims between countries. The present study is one of the very few studies that look at GERD from its impacts lens, with special emphases on impact of water sustainability in Egypt. The study would also help drawing attention to the possible claims for compensation as a procedural step that can warrant more restrictions on dam construction.